Join this energising, dynamic vinyasa flow yoga class that aims to incorporate breath work for connection with mind, body and soul. Taught by Cambridge-based vegan Yoga instructor, James, this class will involve stringing postures together, so that you move from one to another, seamlessly, using the breath. In vinyasa yoga, each movement is synchronized to a breath. The breath is given primacy, acting as an anchor as you move from one pose to the next. The variable nature of Vinyasa Yoga helps to develop a more balanced body as well as prevent repetitive motion injuries that can happen if you are always doing the same thing every day. What does the 5000-year-old tradition of Yoga have to with veganism? Isn’t Yoga only about doing postures on mat? Attend this talk by vegan Yoga teachers, Kane and Bianca, to know the answers to the above questions and discover the roots of veganism in Yoga. 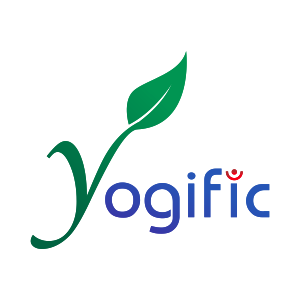 According to reports, approximately 2 billion practice Yoga worldwide. Wouldn’t it be great if we had 2 billion vegans? Please bring your Yoga lover non vegan friends so that they can realize how the path of spirituality involves a vegan way of living. Kane and Bianca would be happy to answer all of their questions too! Tai Chi is a Chinese Internal Martial Art originally developed in 13th-Century China, but is perhaps more commonly practiced around the world today as a health-promoting exercise, combining slow and gentle movements with synchronised breathing. Jivamukti is a physical, ethical, and spiritual practice, combining a vigorous hatha yoga, vinyasa-based physical style with adherence to five central tenets: shastra (scripture), bhakti (devotion), ahimsā (non violence, non-harming), nāda (music), and dhyana (meditation). Jivamukti Yoga is a path to enlightenment through compassion for all beings. The Jivamukti Method is grounded in the original meaning of the Sanskrit word asana as “seat, connection” – relationship to the Earth. This class will be a mixture of vigorous postures and lighthearted and fun moments with elements of music and chanting. One of the strongest currents in Jivamukti’s philosophy is a strict interpretation of the yama, ahimsa, which means non-violence. Both teachers, Kane and Bianca are vegans. Qigong (also called as chi gung or chi kung) is an ancient Chinese exercise and healing technique. The first part “Qi” translates as vital energy, information, breath or spirit and “gong” means skill cultivated through steady practice. Simply put, it’s mind-body-spirit practice that improves one’s mental and physical health by integrating posture, meditation , controlled movement and breathing, and focused intent. Taught by Keith Abraham, the Qigong class will be composed of standing postures and simple movements that will stretch the body, soften the mind and build awareness of the link between the two. The Yoga teacher, James, would ensure that is the perfect total mind-body workout that you need. The Ashtanga method of asana practice originated in 1900s in the city of Mysore in India, and was developed by T. Krishnamacharya, who is considered as the father of modern Yoga.In Ashtanga Yoga, the order of asanas is entirely predefined, which distinguishes it from most other types of yoga. A practice consists of four parts: Opening series, a main series, a back-bending sequence and a finishing sequence. This class is led by an experienced Ashtanga Yoga teacher, Karina. She is going to teach a dynamic, strong class, going through the fundamental asanas of Primary series. Beginning by connecting with the ujayii breath, students will move through the key asanas of primary series – sun salutations, standing, balances, seated, hip-openers, back bends and finishing. Sweat stretch and feel goooood…. A class on traditional Hatha Yoga, as taught in India, including Pranayama breathing techniques (Pranayama), asana (core Yoga postures) practice and meditation. This authentic yoga class taught by Tracey will also have a focus on connecting breath with movement to bring harmony to body and mind. Breathe, stretch, relax… Suitable for all- beginners and intermediate. Vinyasa Yoga, also called flow because of the smooth way that the poses run together, is one of the most popular contemporary styles of yoga. This is a dynamic style of Yoga where various postures are performed in a single series without holding any pose for longer periods of time. This workshop for all levels lead by Imen, combines a slow, gentle yoga flow combined with breathing and meditation. This workshop will help you release stress, energize and empower you and encourage you to express yourself freely to practice a yoga flow filled with vitality. When we think of meditation, a picture of calm and serene solitude comes to mind but our lives are far from it. Is it possible to meditate when you are constantly surrounded by inner and outer noises? Yes, it is and let Darren show you how. In this workshop, Darren Yap, the mindfulness guru and founder of Wimble Wellness, will take you through simple techniques to develop a mindfulness practice to help you to beat stress from work and our hectic lives.